The existence of damages that flow from the injury. Patients who wish to sue their doctor, nurse, hospital, or other health care provider will have to establish each and every one of these four elements in their lawsuit. By meeting each of the four elements, the patient is said to have established a case for negligent care and to be entitled to recover damages for such malpractice. As a matter of practice, the first element, i.e., the existence of a legal duty, is typically the easiest of the four elements to establish. In those instances where a health care provider extends medical services to a patient, the health care provider is said to owe a duty of reasonable professional care to this patient. Therefore, when the law determines that a provider/patient relationship exists, then the duty of reasonable medical care is applied. Determining whether a health care provider has breached his duty requires establishing and understanding the applicable standard of care with respect to the particular patient’s care and treatment. The definition of the concept of standard of care can differ between states, but, as a general proposition, the phrase generally means that the standard of care that is to be applied in a given situation is that level of care that a reasonable, similarly situated professional would have provided in that particular circumstance. What is important to understand from a layperson’s perspective is that levels of care that can be rendered to a patient do not lie on a fixed plane. Rather, one must think of the standard as a spectrum. Health care providers will fall within that spectrum on various levels, but the key is that they do not fall below its lowest point, such that they thereby provide substandard care. Thus, the quality of care may differ between health care providers, but as long as the provider meets or exceeds the lowest point of the spectrum, that provider will be deemed to fall within the standard of care. Frankly, a patient may receive treatment from one provider and then be evaluated by another, only to have the latter provider be critical of the care that was provided initially. This, in and of itself, will not mean that a provider deviated from the standard of care. Rather, the deviation must actually fall below the acceptable standard for a reasonable and similarly situated provider under like circumstances. In proving the deviation, expert testimony is required from appropriately credentialed and qualified providers. In essence, the expert witness must be familiar and be able to articulate the community standard for treating a patient under the given circumstances. If unable to do so, the expert can be disqualified from testifying. Once a breach of duty is demonstrated, it becomes necessary to show that the injury that occurred to the patient was actually caused by this breach. Just as with the need to establish the breach through expert testimony, it is similarly necessary to establish the link, which is known as causation, through qualified expert testimony. Between the need to establish a breach, as well as the need to establish causation, often multiple expert witnesses are required to demonstrate that the relevant care by the health care provider fell below the applicable standard of care and that this breach was causally linked to the patient’s injuries. It is critical to employ a law firm that is intimately familiar not only with the laws governing a medical malpractice action, but the unique experience required to locate, hire, and present expert witness testimony in a medical malpractice case. The final element in a medical malpractice claim is the establishment that a patient sustained damages. This element is typically expressed in terms of monetary damages that flow from the injury sustained by the patient, arising in terms of costs to address the substandard prior medical care, e.g., future operations; costs related to adaptive devices, e.g., a wheelchair; loss of future earning capacity; loss of enjoyment of life; physical and metal pain and suffering; and all such damages as naturally flowed from the breach to cause the relevant injury. 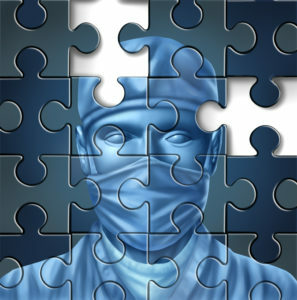 Medical malpractice cases are complex and difficult. Typically, juries within a given jurisdiction will start with a favorable opinion of health care providers, which the patient must overcome in order to win their lawsuit. Therefore, it is critical that a patient hires an attorney familiar with bringing a medical malpractice case. The head of this law firm’s medical malpractice division, attorney Michael R. Jackson, spent fifteen years defending physicians, hospitals, nurses, long-term care facilities and other health care providers before undertaking the rewarding job of becoming an advocate for patients in their medical malpractice litigation. Jackson Law International has litigated medical malpractice actions across the United States and stands ready to serve you and your family in your time of need.